UPDATED: Tue., June 26, 2018, 5:35 p.m. 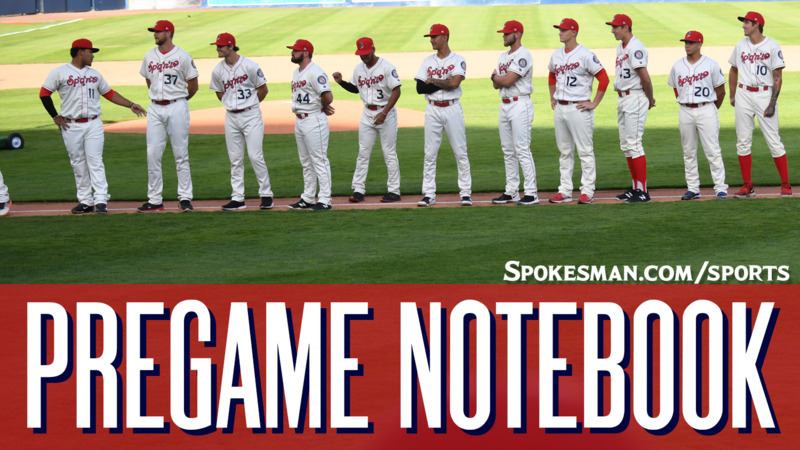 The Spokane Indians (4-7) take on the Everett AquaSox (7-4) in the first of a three-game Northwest League series at Avista Stadium at 6:30 p.m.
Last night, the Indians won their second in row over Vancouver to earn their first series win while Everett’s league-best seven-game winning streak ended with loss to Tri-City in 11 innings. The Indians send RHP Werner Leal (0-1, 13.50) out against RHP Carlos Hernandez (1-1, 9,95). Leal, an international free agent signed in 2015, allowed three runs on three hits in two innings last Wednesday in his NWL debut. The Venezuela native has pitched in Low-A Hickory and High-A Down East this season. Overall, he is 1-3 with a 5.06 ERA. AquaSox starter Hernandez has had an up and down start this season. HIs first start lasted just one-third of an inning as the righty allowed seven earned runs. Last Thursday, though, he tossed six shutout innings against Vancouver. Last night: Ryan Dease (2-0, 1.50) allowed four hits and no walks while striking out five in seven innings to help the Indians (4-7) shut out the visiting Canadians (3-8) and earn their first series win of the season. Player focus: INF Diosbel Arias leads the Indians in hits with 13. He has four multi-hit games including a pair of three-hit games. His two hits on Monday led to a pair of runs in a 6-0 win over Vancouver to capture the Indians first series win of the season. Transactions: Catcher Scott Kapers and infielder Troy Dixon were added to the roster for tonight’s game. Promotion: Enter for a chance to win a Baseball Vacation Giveaway including two tickets to a Mariner game, lodging, rental car and spending money! Taco Tuesday! Weather: Game time – Sunny and calm, 74. Final out – Clear, 62. Published: June 26, 2018, 3:48 p.m. Updated: June 26, 2018, 5:35 p.m.